Jeph hosts the Volt Divers series that I played at in April. If you are in Portland, I recommend checking it out. See Runkl’s previous appearances on CatSynth. 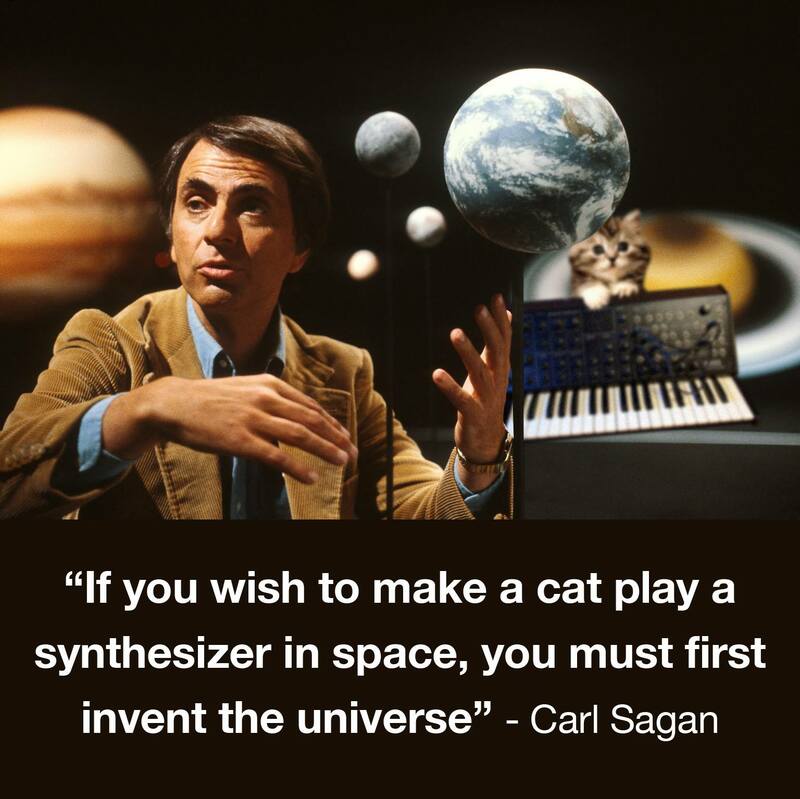 Via the Facebook page of Cats on Synthesizers in Space. 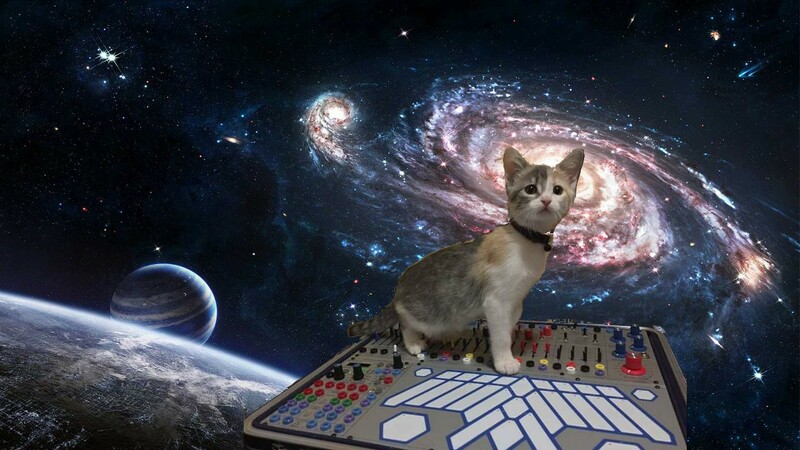 Via Cats on Synthesizers in Space. We’re back after a week-long break, and to symbolize the start of good things, we have a cat on an Access Virus synthesizer being launched into space. From Cats on Synthesizers in Space. Kitty playing Roland Jupiter 8 Synthesizer, while cruising into the sunrise.